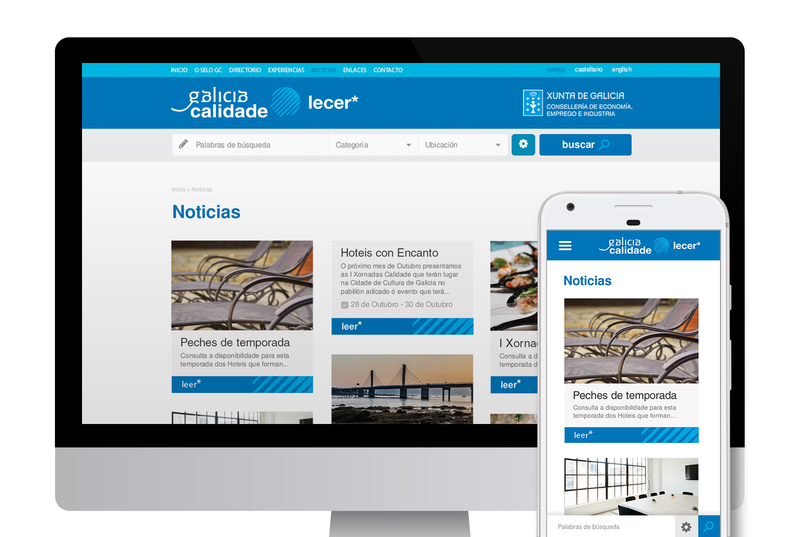 I was asked for this design on 2016 for regional's government of Galicia (Xunta de Galicia) by Dimensiona, one of my best clients (15 years working together!). As a project focused on tourism and with a lot of visual content, it was very important to create a clear and up-to-date design that could fit it. Hope you like it! 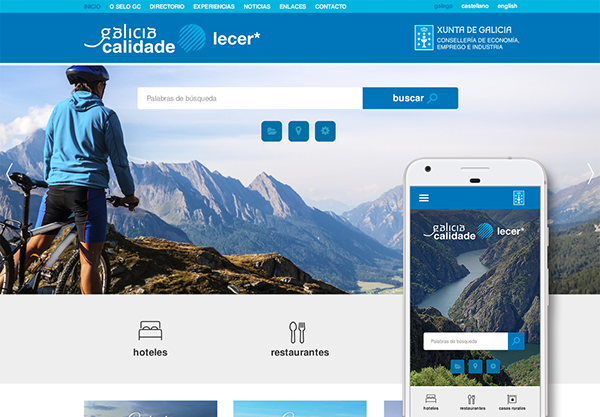 Web design done for web project about tourism and region development in Galicia.